Its been forever since I have participated in any photo challenges, but I decided to get back in the swing of things. I Heart Faces theme is ‘Make a Splash’. 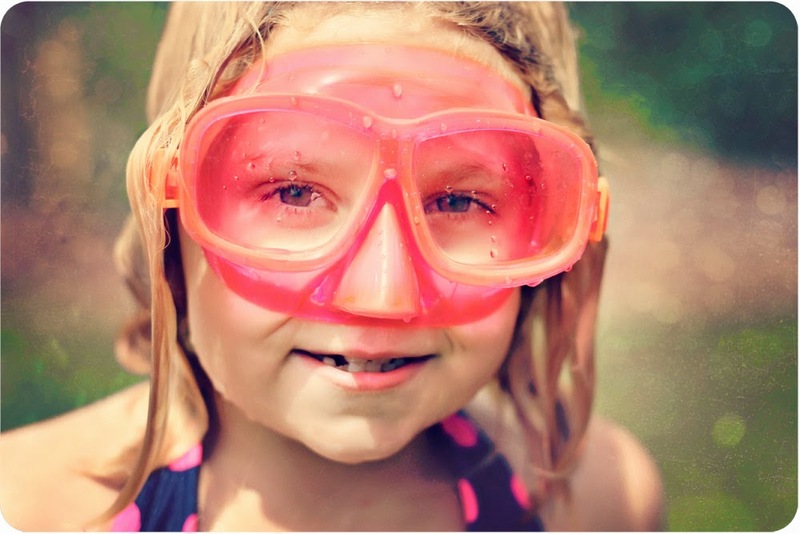 This crazy kid wears these goggles when she is playing in the pool. When she is out of the pool. When she is eating chips, swinging, and running around the yard. I’m not sure how she manages breathing, but she doesn’t even seem to notice they are on. I’m glad you submitted! I just can’t bring myself to submit anything each month. I don’t know why I was more inspired with their weekly challenges? I was WAY more inspired by their weekly challenges. Once they changed their format I stopped visiting. To me it just wasn’t as fun.